With the holidays fast approaching and so many gifts and stocking stuffers to choose from, I thought I would narrow down some of my top picks for this season. 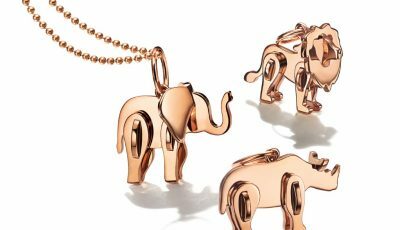 Nothing is more exciting than unwrapping a gift to find that special little blue box women have grown up to associate with Tiffany & Co. Known for their glamour and sparkle, Tiffany is guaranteed to be received by gift recipients with high praise. Those who like just a touch of shimmer when they move their wrist would love the Tiffany T square bracelet with princess-cut diamonds. It’s modern, sleek and elegant, with just a touch of sparkle. 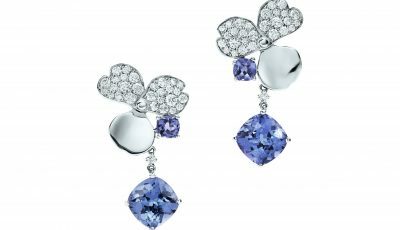 With this seasons style trending toward exuberant pops of vibrant colors, I recommend taking a look at the Tiffany & Co. Schlumberger collection, which features stand-out colors in blue, green, magenta and other colors. 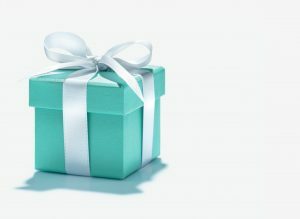 Stop by the Tiffany store at South Coast Plaza to have someone help you find the perfect gift for your special someone. The customer service is remarkable and they are great at helping you narrow down just the right gift, whatever the parameters might be. 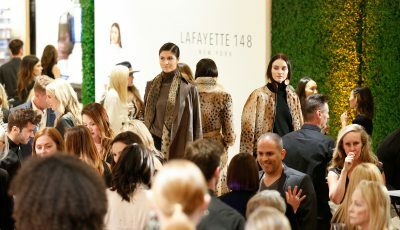 Last month at StyleCon, I was able to learn about some of the latest styles, test out some of the top products and really discovered great gift and stocking stuffers ideas for friends and family. I also ran into Robyn Grant, StyleCon founder and a longtime resident of Newport Beach, who told me that StyleCon has become so popular that she’s now creating StyleCon events in other cities, and countries. My favorite product of the day (and year) had to be the Temptu Airbrush makeup (temptu.com). I’ve had airbrush makeup applied before, but the standard was heavy machinery that you would have to purchase and cart around. This small hand held applicator is easy to use and decently priced at around $195 for a starter set. Not only can you apply foundation, bronzer, highlighter, blush and lip color, but they have 24-hour root touch up hair color that is sweat-proof and transfer-resistant. I spoke with other women getting the makeup applied. Their thoughts. “I don’t like to wear makeup since it’s so heavy and I work out a lot and am on the go. But I’m amazed at how quick and easy it was to even out my skin tone and eliminate the tired overworked mom look,” said one StyleCon attendee. I completely agree. My skin looked vibrant and fresh, and the entire process took all of five minutes and lasted throughout the day. If you want to check out the Temptu for yourself, go to Lavender Salon and Boutique at 1617 Westcliff Dr in Newport Beach for a makeup application. You can also purchase the products there. For the travel guru, I suggest Savvy Travelers products (savvytravelers.com) while you are on the go. These eco-friendly wipes come in single use packages and do everything from acting as a deodorant to cleansing your face. As a frequent traveler myself, I love the individually wrapped packages because larger ones dry out and become useless. Another great idea is the Luxury Scent Box (luxuryscentbox.com), a company that has all of the luxury fragrances ready to go in three ounce travel size containers. Gone are my days of bringing tiny samples or going without perfume while traveling. One final idea for those who have a tough time choosing the right gift: use a personal shopper at Fashion Island! Whether you need to spend 30 minutes or three hours, the personal shopper will help guide you to the right gift. This service is complimentary, there’s no minimum purchase required and zero obligation to buy. Visit ShopFashionIsland.com for details. With so many things to choose from holiday shopping can be a daunting task. Remember that thoughtful gifts that really show you know who a person is and their lifestyle are always the best. Happy Shopping!